This is the Chameleon CHA TD. It’s a Broadband terminated dipole operating from 160 through 6 meters. It requires no tuner on HF! My primary use for this antenna is Automatic Link Exchange or ALE. When an ALE station is not actively in call with another station, it cycles through the ALE channels, listening for its callsign, soundings from other stations, and sounding itself. 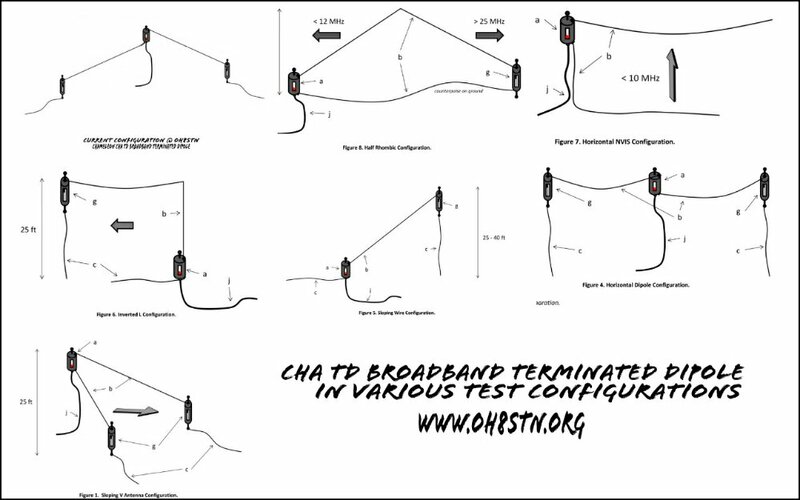 ALE channels can span 80-10 meter bands, or in some cases 160m or even VHF depending on channel allocations from a spectrum manager. The station either needs to have an ALE compatible antenna tuner, or an antenna which requires no tuning. 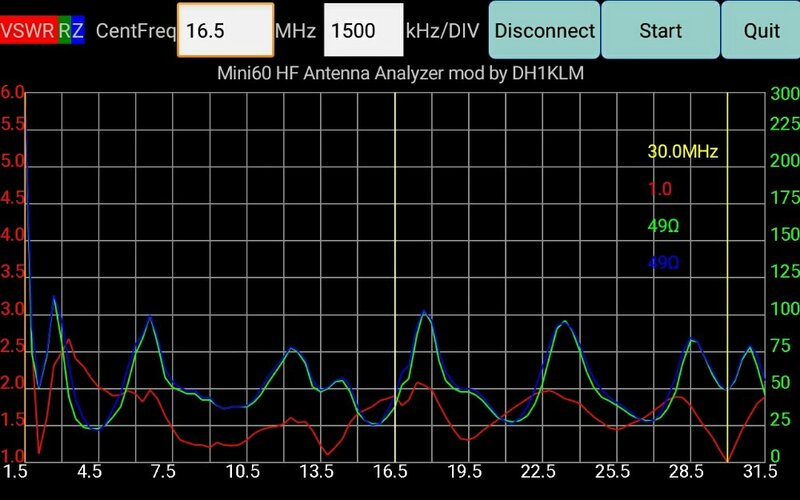 So far I’ve been pretty astonished with this antenna. It’s mounted in inverted-v configuration from my tower at the moment. I also plan on finding the best configuration for use as a field station antenna. The user guide can be downloaded from the Chameleon website. It has lots of antenna configurations, to suit a variety of applications. There are also many configuration ideas on the HFLink website. Here is my current configuration, pkus configs out of the user manual. I initially deployed this antenna incorrectly, leading to some very wrong SWR readings. A few minutes troubleshooting with Chameleon and the problem was solved. The wide SWR sweep looks pretty good now. It also looks very similar to the SWR plots that chameleon publishes themselves. Now we know the plot results are attainable by anyone deploying this antenna correctly. Looking at the results one band at a time they actually look much better than they did in the whole HF band sweep. After deploying this antenna for the first time, I immediately went back to Chameleon and said “please make a lightweight, 20 watt version of this antenna”. There are giant mega-corporations who make Broadband terminated dipoles for non-governmental organizations and Aid agencies deployed around the world. Many of them still rely on HF Communications. So it is an effective design! From amateur radio perspective I would kill to have a lightweight version of this antenna to carry and deploy man portable, in the field. Still the antenna as it exists is a magnificent beast, which is definitely being overlooked by the amateur radio community.